When you buy electricity and/or natural gas from third party suppliers, you leave the protection of the Pennsylvania Public Utility Commission. The only “protection” you have is the contract written by the suppliers in their own best interest. They are usually written in legal language in small print. There are hundreds of third party suppliers because that business is profitable, often very profitable. Do not rely on utility or Public Utility Commission advice. Buying from a vendor has risks, but so does staying with your local utility. One difference is that you have PUC protection with your local utility. Vendors may refer to your local utility website’s estimates of future prices. These estimates are likely false. Utilities typically revise their prices quarterly. Do not pay any attention to phone conversations, face-to-face conversations, or mailings. The only thing that matters is the final contract with firm fixed pricing. Do not release your local utility account numbers until you seriously consider one vendor you trust. Vendors understand that congregations do not usually have lawyers, accountants, or consultants with utility rate experience. To them, you may seem like ripe, low-hanging fruit, ready to be picked. The Archdiocese of Philadelphia and the Presbytery of Philadelphia signed long-term contracts with a reputable supplier. In both cases, the deal was not anywhere near what a good deal should have been. What makes you think you can do better on your own? The contract and price includes everything that your local utility prices include. Your supplier will suggest a price just under PECO’s so they can maximize their profit. Why not ask for a price guaranteed to be less than your local utility’s price at any time for any given account. A price higher than that brings immediate cancellation without penalty. No monthly “customer fees” or “cancellation charges” or State sales tax. Your bill for third party power must be on your local utility’s monthly invoice. Obtain and read contracts carefully before signing or agreeing. Get technical and legal advice. Seek out and go with major and established suppliers. Usually, aggregators, brokers, and multi-level marketers do not have the best deals. Determine how you can make sure your congregation is actually saving money. Mark in your date book a month or more before contract ends. Determine if your congregation actually saved money with your supplier. Check for automatic renewal that may not be in your best interests. The Interfaith Coalition on Energy (ICE) has found that local organ repair people and organ tuners have not provided the religious community with consistent advice concerning the relationship of patterns of heating to the well-being of the pipe organs. The purpose of this report is to clarify this confusion. We know that some organ experts suggest continuously heating houses of worship with pipe organs, at a cost of thousands of dollars per year, in order to “protect the pipe organ.” We know of other experts who suggest that the temperatures can be set very low when the buildings are not occupied, without causing damage to the pipe organ. During the summer of 1985, we received a copy of a brochure written by the Federation of Master Organ Builders in Britain. The brochure clearly stated that the major problems with British pipe organs resulted from heating, rather than from cool temperatures. The Interfaith Coalition on Energy summarized the brochure in a three-paragraph statement. On December 3, 1985, ICE wrote letters to each of twenty-two members of the Associated Pipe Organ Builders of America (APOBA) to attempt to reach a consensus on the relationship of low temperatures to pipe organs. We asked that they respond with their opinion about the three paragraphs about the effect of heat on pipe organs, which summarized the British brochure. We also enclosed a copy of the British brochure with our letter to the American organ builders. Their responses form the basis of this article. On January 13, 1986 we sent each member a draft of this article for their final approval, resulting in a few additional minor changes. This technical booklet is the second in a series developed by Inspired Partnerships and co-published with the National Trust for Historic Preservation to address building issues facing traditional houses of worship. It is a summary of the author, Andrew Rudin’s, experience with four programs: Inspired Partnerships in Chicago and Interfaith Coalition on Energy (ICE) prograims in Philadelphia, Buffalo, and Arizona. Actual data from numerous buildings were analyzed to determine the causes of measured reductions in energy use. Several companies and products are mentioned in this booklet. Mention of trade names does not constitute an endorsement by Inspired Partnerships or the National Trust for Historic Preservation, nor does it signify approval of the product to the exclusion of comparable products or companies. To many people, wireless communication towers are so ugly that they don’t want them visibly installed in their neighborhoods. Wireless communication antenna companies consider properly—located steeples as an alternative. If they select your steeple, either for their own needs and/or because your congregation desires additional income, your lawyer can use the following advice and sample lease documents to help draft an agreement more in your economic interest. The contractual agreements often have two parts to them. The first is some up—front payment, and the other is a lease with monthly payments. A church near Boston made a deal with one antenna company to re-paint its steeple (a $12,000 value) plus $1,200 per month for 20 years. They negotiated a second deal with another cellular service supplier for $20,000 in parking lot repayement with $1,500 per month for twenty years. Another church in nearby Providence negotiated a $300,000 up—front payment and a $1,500 per month lease. Electric meters are as prominent in churches as pulpits — usually one per facility. Understanding sermons, however, may be easier than understanding electric meters. Pulpits are located in sacred space — well-cared-for rooms with colors and cleanliness. Meters are usually located in profane space amid dirt, dust and dim light. Electric meters are the cash registers for electric utilities. Each month, the utility usually reads your electric meter, which belongs to them, and then sends you a bill. Personally, I can’t wait for them to read my meter only once a month; I read it each morning keeping score of the amount of electricity, measured in kilowatthours, we used the day before. 1. 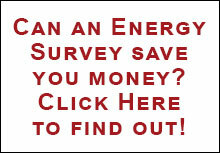 Make certain your building is on the most advantageous electric rate. If your peak use of electricity (when most things are turned on) occurs during your electric utility’s off-peak periods, request off-peak rates lower the cost of electricity. Pre-cool each day before the higher on-peak rates take effect. In Philadelphia, this is 8am weekday mornings; weekends and holidays are off-peak all day. 2. Move morning worship earlier in the morning. 3. Reduce the generation of heat inside the building. Turn off all unnecessary inside lights. Insulate domestic water heaters and piping. Turn off circulators that pump water to hot water taps. Minimize appliance use inside air conditioned areas. Turn off pilot lights in boilers and furnaces. Like plastic slipcovers on a summer night, the Environmental Protection Agency’s efforts are sometimes misguided. Following its questionable opinions on underground fuel tanks and asbestos, the EPA has now created a maximum energy intensity for a congregation to declare itself an “Energy Star”. A congregation must decrease by 35% its total annual energy use per square foot (measured in British Thermal Units or BTUs). Alternatively, a building used for religious worship has to meet the following energy standard in total BTUs per square foot per year according to the region in which it is located: Northeast -22,800, Midwest – 22 ,400, South – 16,300, West – 15,900. Excellent energy report!!!! Our potential energy cost savings are substantial and the initial investment modest. It really is win-win. Thanks, you have done extremely well for our church!!!! Again many thanks for your very intensive and informative review. We hope you are OK and that this little check helps. How to create interest in energy? Keep records. You can’t play any game without keeping score. Energy management is a series of repeated rituals listed here. You can provoke yourself to renew your interest in them by comparing energy use day to day, month to month or year to year. What do you do with candelabra light sockets? Brookstone is selling light emitting diode (LED) holiday lights again this year. They back their products with a good guarantee. They say their new LED lights generate much more light than conventional LEDs.